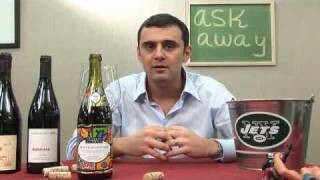 Gary Vaynerchuk continues the week tasting with Coupe 60, Rich S, DRod, and grape_ape, the third part of four shows. This group chose a mixed bag of classic whites and reds from all around the world. And it’s conversing. Not conversating. Like I said – I should pay attention more. sorry. smile. QOTD4: Drink sparkling weekly. But we can’t hate on the server taking initiative to make sure that you were taken care of. Showed that he cared. bravo again. and would love to tray all those wines. Took the 07 Ridge and the 07 Altamura to an 07 Napa Cab tasting (cheated a bit on the ridge since it isn’t really from Napa, but no one seemed to mind). For me and many the Ridge was one of the best wines of the night. It destroyed an 07 Grace Family Cabernet (which I thought was awful, especially at the price point but others seemed to like), and beat anderson conn valley, caymus etc. The only other wine that held up to it was an 08 (someone else cheated) Carte Blanche. This wine is much more of the cult cab style of wine and I could easily see it becoming the next cult cabernet when it gets rated (first release,small production (300 cases for the cab, 125 for proprietary red), taste profile puts it in the range of what a lot of critics might rate in the 96-97 range, provenance (owner is the the great grandson of the guy who bought haut brion, winemaker is the ex winemaker for peter michael among other places). Bern’s steakhouse bought pretty much the whole Florida allocation of it and is doing a dinner with it from what I hear. It’s going at $125 right now, definitely worth checking out if you have the dough to drop, bought another bottle for myself. Another good ol’ boy’s show. I can see why that group is as tight as it is, the chemistry is facemelting. QOTD 2: sorry, do not really care. QOTD 3: I have had a couple but not nearly enough. QOTD 4: Yes, but not nearly enough. ha ha ha … GV would have sent the bottle back to the cold room. 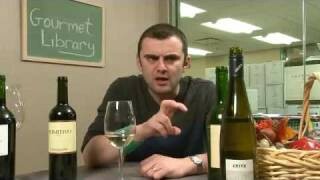 Wow – fantastic selection of wines, I do love all of them (well, who doesn’t?)! Best round table so far. I enjoyed watching this episode very much. QOTD 3: I’ve had a lot of Austian Rieslings lately, though I like German ones better – less alcohol amongst other things. As all of the “Countdown Shows” have been, this looked like alot of fun with some spectacular wines. I especially adore the Donnhoff since I have never tried the other three selections. QOTD #2: Who is Rex Ryan? QOTD #3: Yes, many gallons of the sweet nectar. QOTD #4: All the time. P.S. I can assume the Centennial Celebration will consist entirely of the “real” family. That would be nice. QOTD4: Yes, it helps to go to places with good glass selection. QOTD 1: Yes. Watched once. Didn’t like it. 3: Might have one in the cellar. If I did I don’t remember the producer. It was great to be able to put some faces to the forum handles. I’m a left coast guy and don’t see the kind of offlines that are held back East. QOTD: #1 No, #2 No way. #3 No just German, #4 Yes fairly often. QOTD4: Yes I do! This just happened to me; I was meeting my mother and brother out of town for a saturday night dinner. All my good wine is in my parents cellar, so I told my mom to bring a bottle of my NV Gosset to have before we go out to dinner. She freaked out and said “no! that is way to expensive we are just going out for a casual dinner!” (I got way into grower champagne over last summer) so i was trying to explain that it wasn’t one of my special bottles. The long and short of it is, she didn’t bring my champagne cause she didn’t deem it special enough occasion. I was pretty ticked. Well don’t beat yourself up too bad. I’d have killed to try that Rayas. I wish I could just be a fly on the wall during one of these shows. It looks like you guys are having so much fun. Kahuna can’t catch a break. I had an Alsace riesling a few weeks ago for the first time. I was used to the German style. I was amazed at the crisp flavors instead of the sweeter flavor profile. It was an eye opener and I’ve enjoyed several more since. QOTD Rex Ryan should go lick some toes. Jets will not be victorious. And now that it’s been mentioned, I typically don’t drink sparkling wine or champagne unless I’m celebrating. Perhaps I’ll have to celebrate my realization with a bottle tonight. I loved that episode myself, partially because I enjoy whiskey, but mainly because the Steelers won. I actually laughed hysterically during that episode. Maybe next year it’ll be tequila. c’mon, let’s see 999 already! 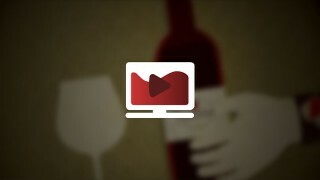 QOTD: Found the website: Kahunasfoodandwine.com haven’t watched any episodes yet, but its out there. #2 Jets….uh, no, sorry Jets will not take it! #3 For me, Riesling is a summer wine. #4 I hate to admit it, but we really only drink champagne for celebratory things and have no reason why, because we do like it…..in fact, maybe I will put a bottle in the fridge for later. Kahuna’s Food and Wine needs a NEW episode….NOW! QOTD 1: Yes. Don’t watch. QOTD 3: Yes, nothing that stands out though. QOTD 4: I like to, but my wife doesn’t! Ridge Monte Bello – “Sonoma Red Blend”? Oh for crying out loud. It’s from the Santa Cruz Mountains! Another nice show need to try some Ridge Monte Bello soon. -No the Jet’s won’t win the superbowl. I’m a Patriots fan so the jets won’t even get out of the AFC. Keep it up Gary really enjoy the format. I was at the World Of Wine Event Last Weekend in Temecula, CA. We hit 25 Wineries out of 30 in 2 days. I enjoyed the Fact that they had Food Paring with each of their Tastings. I put on 5 lbs! The event was Fantastic. I will attend next year as well. My Favorite was a Surprise.. a 2009 Riesling from Baily Vineyard & Winery. I had no idea a Riesling would grow here? I will be planting some soon. My other Fav was a 2008 Cabernet Franc at Frangipani Winery. I enjoyed tasting about 75 Wines over this 2 day event. QOTD 1: Nah. I joined the boycott Kahuna movement. QOTD 2: Jets chances of winning it all are less than 50-50. QOTD 3: Haven’t had any in 2+ years after a run of too many with the burnt rubber profile I don’t care for. QOTD 4: Alsway have a few bottles in the house, but they don’t come out often. Great wines. Each one of these are wines I would purchase. By the way…some of the guests look like they fear getting their noses in there! 3- It’s been a few years since I had a very great one. I’ve had some Trimbachs since, but they were generic in my final judgement. 4- I agree, Sparkling/Champagne should be enjoyed often and should inspire celebration not only supplement and symbolize it. I’ve opened some to drink for myself before, the I just can’t drink glass after glass. Enjoying these guys. Funny how different palates are so far apart and then come together. If Gary ever says it smells like a Barnyard I know he is going to like it. QOTD 1 never but I did see link in comments. Maybe I wil check out. 3-no. Typically stay in California. I know I need to expand. 4- all the time. Love it. Good ep – lots of laughs! QOTD: Thanks for the heads up about Kahuna, I’ll have to check it out. I was amazing fortunate to attend Taste of Austria last year where I got to try all the big names. If you LOVE minerality, check to see if they are coming to your area this year! Los Angeles Vayniacs, go to the website and see when tickets go on sale. Don’t miss it! 2008 Brundlmayer Helilgenstein Alte Reben Riesling: Very tropical nose with excellent minerality from the volcanic soils. But by far the most fantastic wine of the tasting was the 2008 Kracher Cuvee Eiswein made from Gruner Veltliner & Chardonnay: Spectacular! Peaches & juicy, ripe nectarines, awesome balance of fruit & brightness and totally ungloopy. If you can find & afford it or put it on your *wish list*, acquire and drink it. Your palate will forever thank you for the experience. As for bubbles, I occasionally buy a bottle to bring home just to drink, but when I’m out at the Wine bar or at my favorite restaurant , I’ll usually just order it by the glass. Solter makes a terrific Pinot-based sparkler that goes with just about any kind of food and their Riesling Brut is pretty darn tasty as well. I also like Alsatian sparklers and some Cremants, but I haven’t found many true Champagnes yet that go along with my taste buds and/or price range. I have to say, this was a really well done episode. You all worked so comfortably together, picked a great eclectic bunch of wines … and brought out a hint of the specialness of the community created through WLTV. SUPER!